Every two years, the Junior Nanotech Network brings together PhD students from McGill and Munich’s Ludwig-Maximilians- Universität. Nanoscience may be measured in billionths of metres, but innovation means reaching out around the planet. Given the spirited reputation of its host cities—jazzy, festive Montreal in summertime and bacchanalian, beer-drenched Munich in autumn—it is fitting that the Junior Nanotech Network was born over a shared drink, or two, at a Venice café. “Maybe it was the result of having one bottle of wine too many,” jokes Peter Grütter, James McGill Professor of Physics and Associate Dean of Research and Graduate Education at McGill’s Faculty of Science, recalling his 2005 Venetian discussion with Professor Hermann Gaub, Chair of Applied Physics at Munich’s Ludwig-Maximilians-Universität. Dubbed a “self-organized graduate student exchange program,” the biennial Junior Nanotech Network (JNN) began in 2006; the next exchange is scheduled for July and October 2010. The network brings together ten PhD students from the McGill Institute of Advanced Materials (MIAM) and ten from Ludwig- Maximilians-Universität’s Center for NanoScience (CeNS) for six weeks of research collaboration and guest lectures. (See sidebar for examples of past projects.) Three weeks are spent in Montreal, to coincide with the city’s International Jazz Festival at the beginning of July, and three weeks in Munich during Oktoberfest. As a bonus, the Munich portion of the program takes a one-week side trip to Venice, where CeNS holds a special workshop. 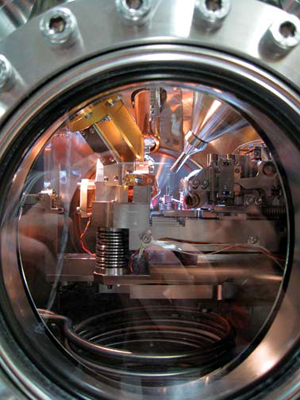 This ultra-high-vacuum atomic force microscope, located in the basement of McGill's M.H. Wong Building, is used to characterize and manipulate samples on an atomic scale. The timing isn’t an accident; scheduling the exchange around world-famous cultural attractions, notes Grütter, means “we can attract almost whoever we want in terms of guest speakers.” The JNN has, in fact, featured guest lectures by such nanotech heavy hitters as Duncan Stewart (Hewlett-Packard Labs, Palo Alto), Martin Moskovits (University of California, Santa Barbara) and Mark Reed (Yale) —but the real stars of the program are the students themselves, who conceive, teach and supervise the scientific experiments. Lab work is carried out by guest students under the supervision of host students, which allows for the broadest transfer of knowledge and new technical skills. The field of nanotechnology looks at controlling matter at the atomic level, which allows researchers to build structures 100 nanometres or smaller. (One nanometre equals one billionth of a metre.) Applications include nanoelectronics (such as read heads in hard disk drives), nanomedicine (new cancer drugs, based on heating gold nanoshells with a tissue-penetrating laser, are in clinical trials) and optoelectronics (incandescent lighting is responsible for 20 per cent of world energy consumption, but new white-light-emitting nanodot-based LEDs promise to reduce that number to a mere 0.2 per cent). At the atomic scale, the traditional boundaries between physics, chemistry, engineering and the life sciences vanish—as a result, nano research demands that scientists trained in many different disciplines join forces in a strong international network. 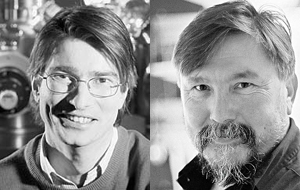 In 2005, professors Peter Grütter (left) and Hermann Gaub conceived of the Junior Nanotech Network, a biennial PhD student research exchange between McGill University and Munich's Ludwig-Maximilians-Universität. The Canadian portion of the 2010 edition of the Junior Nanotech Network will receive funding from the Canadian Institute for Advanced Research (CIFAR). 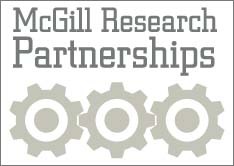 Past editions have received funding from CIFAR and Quebecʼs ministère des Relations internationales and ministère du Développement économique, de lʼInnovation et de lʼExportation.